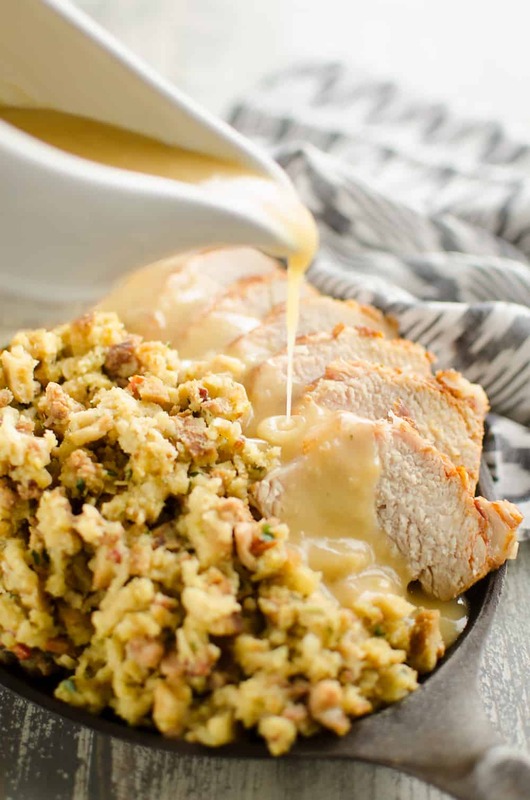 Pressure Cooker Pork Loin, Stuffing & Gravy is a delicious one-pot recipe all made in your Instant Pot. This full meal deal will be an instant family favorite! This Pressure Cooker Pork Loin, Stuffing & Gravy recipes is something I have been dreaming up in my head over the last year but only just got around to testing it out recently. After making different meals in my Instant Pot like BBQ Pulled Pork and Thai Peanut Chicken & Noodles, I realized that cooking meat in the electric Pressure Cooker leaves behind lots of great juices that are begging to be used up in a creative way. 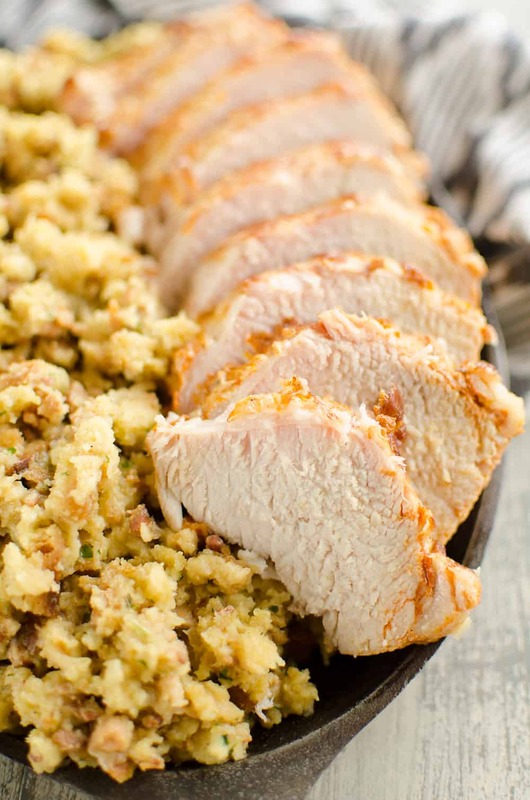 What better way to use that broth than with Stove Top Stuffing! 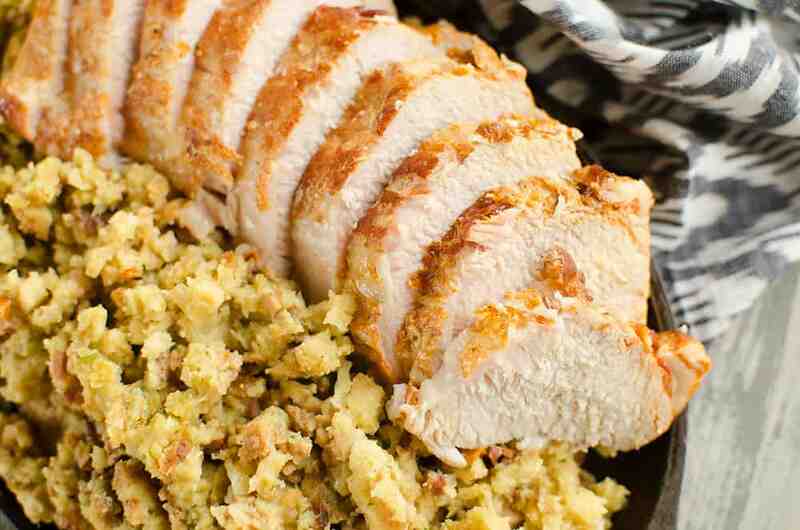 Now if you are like so many people I know, you might be partial to homemade stuffing. I love a good homemade stuffing as much as the next guy, like this Crock Pot Cranberry Pecan Stuffing. 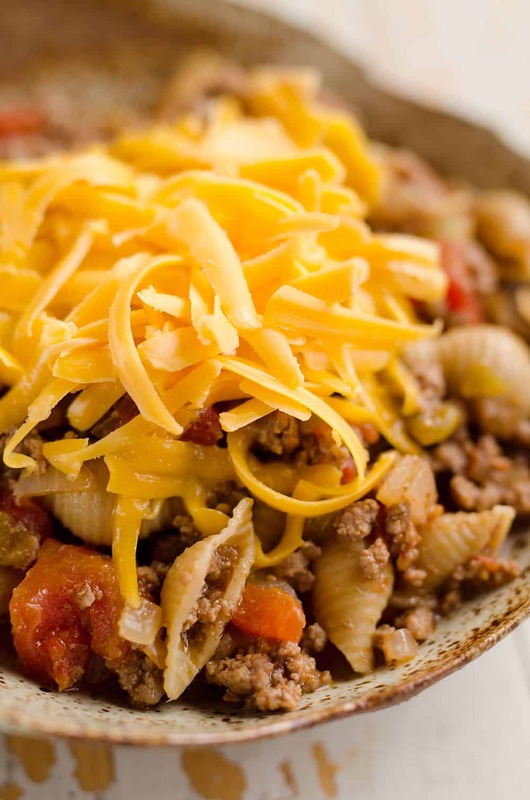 Sometimes it just isn’t practical though, especially if you are looking for a weeknight meal to get on the table with minimal effort. That’s when Stove Top stuffing comes to the rescue. When I was dreaming up this Pressure Cooker Pork Loin, Stuffing & Gravy recipe, I envisioned just making Stove Top from the leftover pork juices and leaving it at that. After I made the pork though, I quickly realized there were extra juices begging to be turned into gravy. Seeing my Instant Pot was already hot, I just added a little butter and flour to the bottom to make a roux and added in the extra juices. 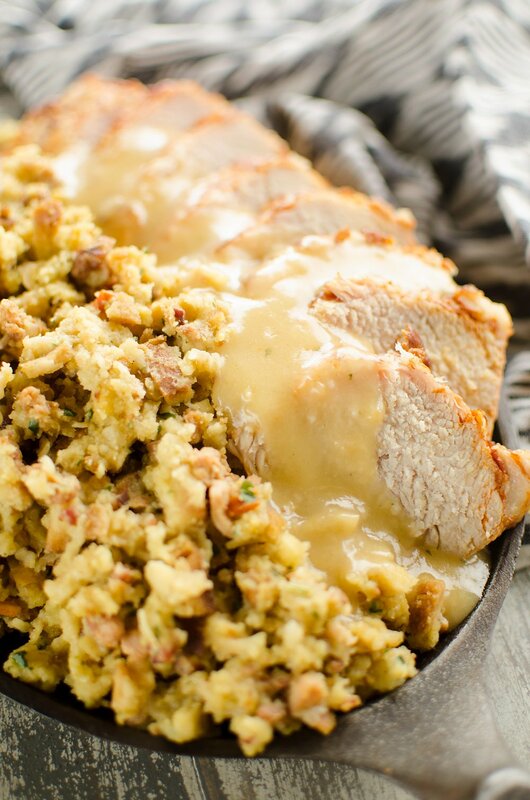 It was the perfect compliment to the juicy pork loin and savory stuffing. This dish is truly a must-try if you own an Instant Pot. With this one amazing appliance you can make this full meal deal that you are sure to make again and again as the whole family will love it! 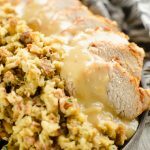 Pressure Cooker Pork Loin, Stuffing & Gravy is a delicious one-pot recipe make in your Instant Pot. This full meal deal will be an instant family favorite! Add 2 Tbsp. butter to the Instant Pot and turn to saute. When the butter is melted add the pork loin and sear for 4 minutes. Turn the pork loin over and add the onions to the pot. Cook for 4 more minutes. Add the chicken broth to the pot and cover. Cook on high pressure for 35 minutes. Allow the pressure to release naturally. Remove the pork loin and set on a cutting board, allowing to rest. Remove 2 c. liquid from the pot and reserve for the gravy. Add the box of the stuffing mix to the remaining liquid and onions and stir until all moistened. Cover with the lid and let sit for 5 minutes. Fluff the stuffing and add to a bowl and cover. To the Instant Pot, add the remaining 2 Tbsp. butter and turn on to saute. (No need to clean out the pot first. The bits of remaining stuffing will just add a little flavor to the gravy) Melt the butter and add the flour. Whisk for 1 minute. Add the reserved 2 cups broth slowly, stirring to combine well. Cook for 1-2 minutes until thickened. Season with salt and pepper to taste. After the pork loin has rested, cut and serve with the gravy and stuffing. 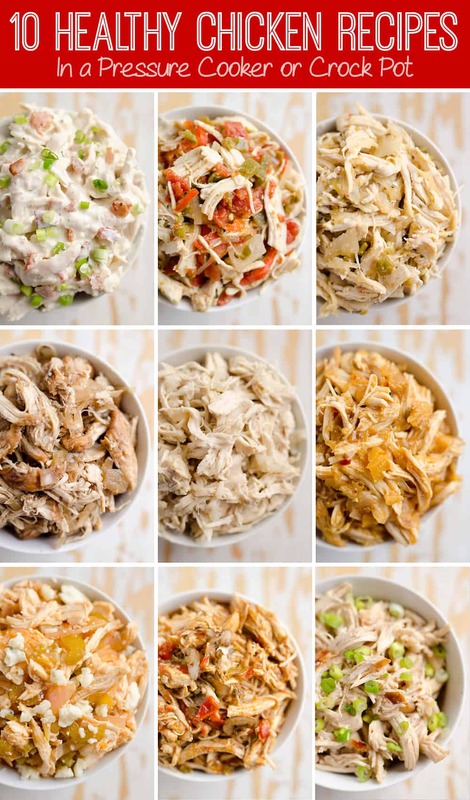 More great Instant Pot dinner ideas! You refer to Instant Pot in one line and Pressure Cooker in the next. Are they the same? Yes, the Instant Pot is an electric pressure cooker. Haha, yes two should fit in a large 10qt pot. Keep in mind that they will give off more juices though so pay attention when making the stuffing to not make it with too much liquid. If you double everything though, then it should be fine. You may want to add about 10 more minutes to the cook time for twice as much meat though. Did you use port loin or pork tenderloin? I’m looking for recipes that use pork loin and this looks amazing. I used pork loin, not tenderloin. I am about to try this right now! Wish me luck. Good luck, let us know how you like it! I am not a cook at all unless it’s from a box, but I got this IP to get me away from the box. I got a loin but didn’t know that I should have got a pre-seasoned one 🙁 What would you recommend that I season it with? You could just use your favorite seasoning blend. I wouldn’t recommend adding too much salt as the Stove Top and gravy are already pretty salted. Your recipe calls for pork loin, but I only have a pork tenderloin. Will that work? Do I need to make any changes? Thanks! Pork tenderloin is typically smaller and also leaner. Therefore it requires much less cooking time and it isn’t as ideal cooking under pressure. This is a perfect “Sunday Dinner” recipe. The pork roast was meltingly tender and moist, but still held together as a roast. It took quite a long time for the Instant Pot to depressurize naturally, and after 50 minutes, I opted for the QR…but it just sputtered, so I think the pin would have dropped momentarily. I will definitely make this again, but will allow 2 hours from when I want to eat. Since the bulk of that time is hands-off, it is a perfect weekend recipe for very little effort. Definitely a keeper! This is my husbands new favorite! I didn’t have a seasoned pork loin, so added my own mixture. It was so easy, and so delicious. Thanks for helping me add a new meal to our rotation! Made this recipe last night, and it was a treat! I have a 3.6 lb piece of pork. Think 35 minutes on high pressure is sufficient? I would go with 40 minutes. This looks so good and I need to make it soon! I’ve never bought a seasoned Pork Loin before, I think Hormel had them. What flavor/brand did you use? I can’t recall the exact brand that I used. You can certainly use a regular loin and just add your own seasoning though. I just made this tonight, sans stuffing (my family isn’t into it). I used a Mesquite Smoke flavored pork loin I got from Mariano’s (27 oz, GREAT flavor!). I made mashed potatoes and this pork with the gravy. Happy to hear you enjoyed it and made it work for your family! This was a really great meal, just what I was craving! I made a few changes, 2 pork loins and increased pressure cooking by 10 min. I browned in TB of olive oil and added celery. I used 2 boxes of low sodium stove top and omitted the butter from the gravy process. I just added the flour to my reserved broth and returned to pot and whisked until thickened. I also quick released. Turned out wonderful, thanks! Di d you double the wmount of stovetop? Also can you tell me if this amt would be ok in a six quart instapot? Would putting in a frozen pork loin work and if so, what would be the adjustments needed? I haven’t tested the recipe with a frozen loin. I would guess it would need a little extra time though. I am accounting for the time it takes to build pressure as well as the extra steps for the stuffing and gravy. We just did this with a pork tenderloin tonight. We just shortened the cooking time to 25 minutes. It was a hit! It also made less liquid than the bigger pork loin, so I reserved 1 cup for the gravy instead of 2, so I had enough liquid for the stuffing. We will make this again. Thanks for the recipe. I’m happy to hear it worked out for you with the tenderloin using a shorter cooking time! My roast was 2.25 lbs, so I was all, “oh, I should cook it five minutes longer.” But no, I shouldn’t have. It was a little dry and I was sad. But it was still really good, and the gravy rocked. I made this tonight, and it was delicious!!! It was a hit! I was happy when I found a box of Stove Top in my pantry. I never thought to use the liquid from the pot in place of the water for the stuffing. That added so much more flavor. I will definitely make this again! Thank you!! Thanks. I found a pork loin roast on sale, and I just happened to have everything but the onion, so I used some celery I needed to use up. Perfect weekend easy meal. My pork loin came out perfect! It was fall-apart tender and very flavorful. I bout a “hint of salt” loin and also did an applewood rub. I didn’t have any chicken broth, so I used beef instead and skipped the stuffing and gravy. Even my picky meat-eaters loved it! I’m adding this to the rotation, for sure! I have made this twice now. FABULOUS both times!! One of my favorites. Thank you!! Glad you enjoyed it Lonna! 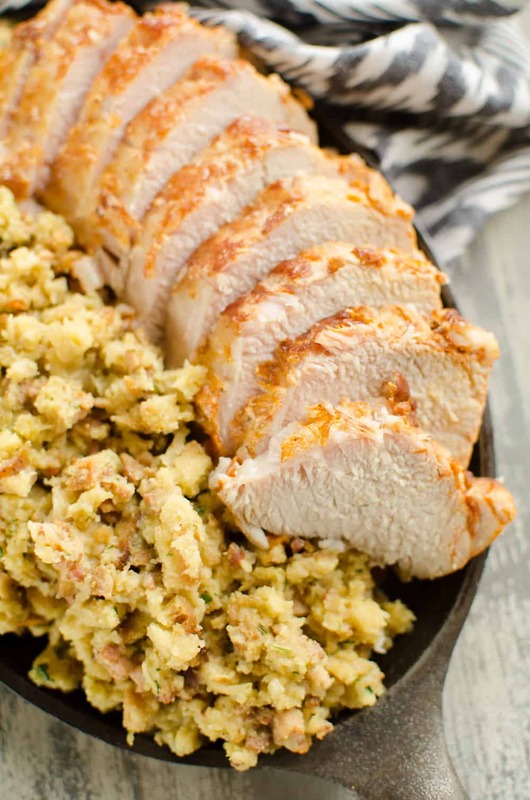 I have been looking for a recipe to do a pork loin in the Instant Pot, this looks delicious. My sister just bought the Instant Pot for me and the first thing I cooked was a Corned Beef for St. Patrick’s Day. Turned out great. Thanks for this recipe. Fabulous!! I had a Betty Crocker cornbread mix on hand. Easy to follow, came together fast and easy. Sooooo good!! This was delicious. I used 2 1# pork tenderloins and cooked for 30 minutes then natural release. Followed the recipe exactly! I made this recipe tonight and it totally overcooked my roast. I seasoned my own roast (it was 28 oz), and followed the recipe exactly. After the NR, I tested with a digital thermometer and it was 208 degrees!! I wanted 140 to 145. definitely won’t cook for 35 minutes the next time. This was quite tasty! I seasoned the pork roast with salt and pepper and put garlic slices throughout in slits in the pork. Pretty much followed the rest of your recipe. 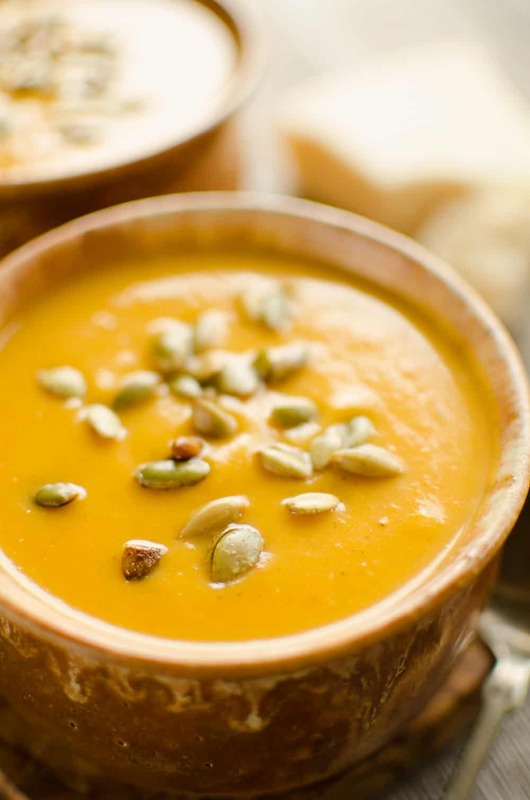 This will be a favorite instant pot recipe for us! Wow! This was excellent! I added little carrots and mushrooms along with the onion, then scooped them out before I made the gravy. The meat was moist, tender and flavorful. It did take a little longer than I expected, so next time I will start out a little earlier, but there will definitely be a next time!! So delicious! Would I do anything different if I don’t have a pre-seasons pork loin roast? Just season your pork up with your desired herbs and spices for a little more flavor. It will still be good with a plain pork loin as well though. 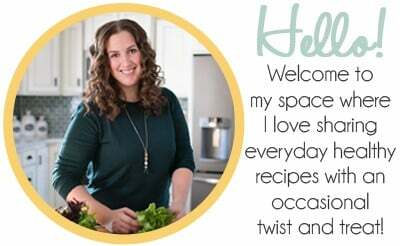 How should I adjust your recipe for a 3qt mini instant pot? Thank you. Do I use the meat setting or just manual setting?? Just manual. I rarely ever use the presets. I made this today and it excellent. I didn’t have a seasoned lion but I seasoned it will S&P, onion powder, garlic powder and parsley flakes. It was so good, that I could not wait for my boyfriend to get home from work. I had my dinner before he got home. I will make this again and again. Recipe sounds fantastic! I am using a 4lb pork roast cut in half. Do you think 50 minutes? Thanks so much! Maybe start with a little less like 45 minutes? How long should I let it naturally release for? Until the pin drops and all of the pressure is released.